THE BEAUTY QUEEN, Let No Deed Go Unpublished--is a must-read. My book is the unedited story of my very-complicated, yet inspiring life. This brief excerpt from my book happened one day after my mother demanded all my money. Holding my father's shotgun, my mother made it clear that I would no longer be part of her family or her life; that my daughters would be the receipients of her money, the many items she'd taken from my house, absolutely everything. "I got up early that morning, 5:00 am, to take a final run. With no money and no place to go, running was my only refuge from the stress of uncertainty. 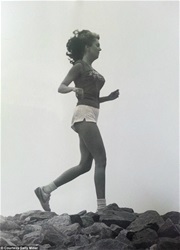 My mind kept jumping from one scenario to another while my feet, trained to run, moved me forward. I was running past a church with a large cross in front when suddenly, out of the early morning shadows, stepped a black woman--- waving both arms in the air. Looking at me, she hollered, “Hey, white lady, I need you to stop and help me with this money.” I was both stunned and frightened by the woman’s unexpected appearance but...I stopped. Holding a handful of dollar bills in one hand, the woman used the other hand to point out more dollar bills lying in a sunburst design at the foot of the church’s tall metal cross. Before I could say a word, the serious-looking woman thrust dollar bills in my hands then turned to pick up more money. For the first time I spoke, asking the woman why she was standing barefoot on this particular morning, in front of this particular Cross. Not once did she smile or engage in conversation. 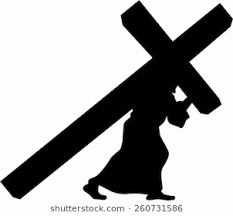 She merely answered, “I live five blocks away and a few minutes ago, God woke me from a heavy sleep and told me to get out of bed and go to this Cross.” She said God’s request sounded urgent so she grabbed her house dress and ran out the door; there wasn’t time to search for her shoes. Trying to piece the mystery together, I kept pressing for details. Without emotion, the woman repeated what God had told her: “You will find money at the foot of the Cross and you are to share it with a white woman running toward you.” A few minutes later, the black woman flagged me down. I didn’t know if I was experiencing a mirage or a miracle. The stranger began walking away and I reached out to touch her, to thank her for being God’s messenger. She backed off and, without a word, disappeared in the shadows." Buy my book to read the followup to this stunning story. Remember, Angels come in all colors and some don't have wings.